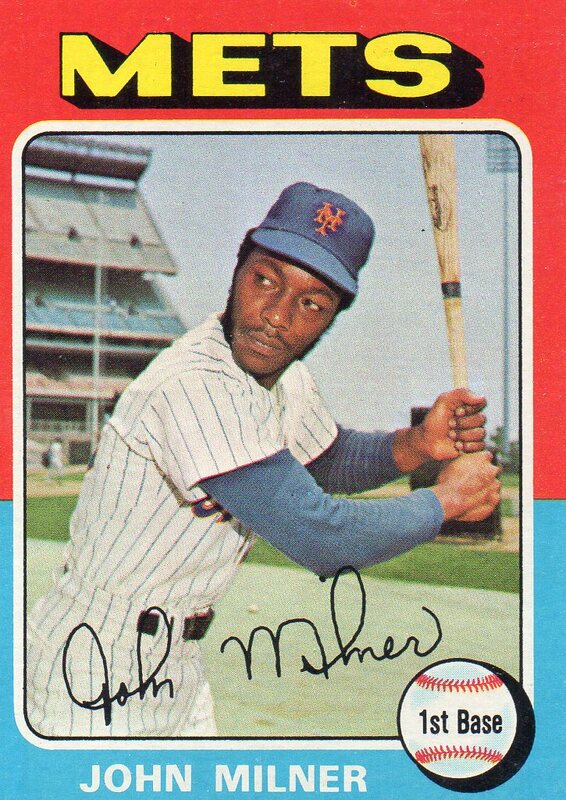 Notes From His 1975 Season: In 91 for the New York Mets during the 1975 baseball season, John Milner hit .191. He connected for 42 hits in 220 at-bats while also delivering an on-base percentage of .302. Milner had 11 doubles and 7 home runs in ’75, while also scoring 24 runs and driving in 29. Notes From Career: John Milner suited up for three different clubs during his 12-season big league career. Milner is a lifetime .249 hitter with 855 career hits in 1,215 games played. He scored 455 runs during his career while also driving in 498. Milner won a World Series championship as a member of the 1979 Pittsburgh Pirates. 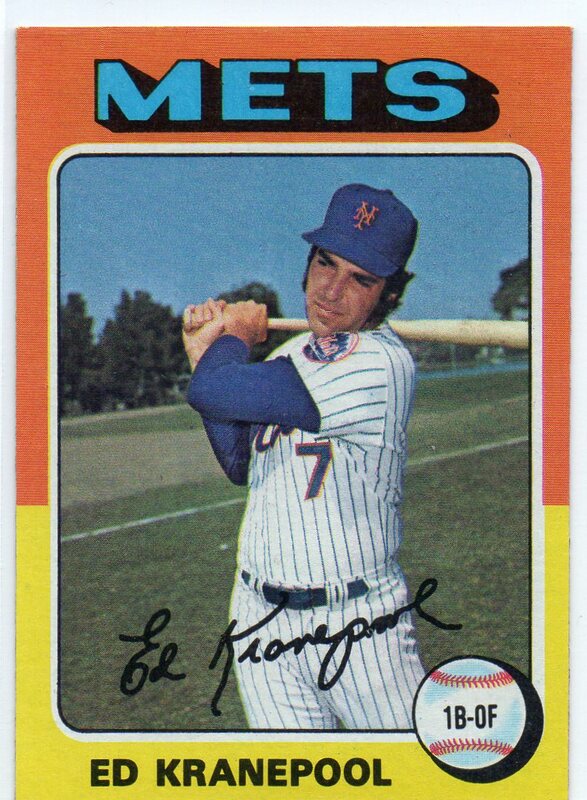 Notes From His 1975 Season: Ed Kranepool played in 105 games for the New York Mets in 1975. He hit .323 on the season with 105 hits in 325 st-bats. Of his 105 hits, Kranepool connected for 16 doubles and 4 home runs with 42 runs scored and 43 RBI. Notes From Career: Ed Kranepool played his entire big league career with the Mets. He was selected to the 1965 NL All-Star team and is a member of the 1969 World Series winning team. Kranepool is a lifetime .261 hitter with 1,418 hits. He has 235 career doubles and hit 118 home runs. 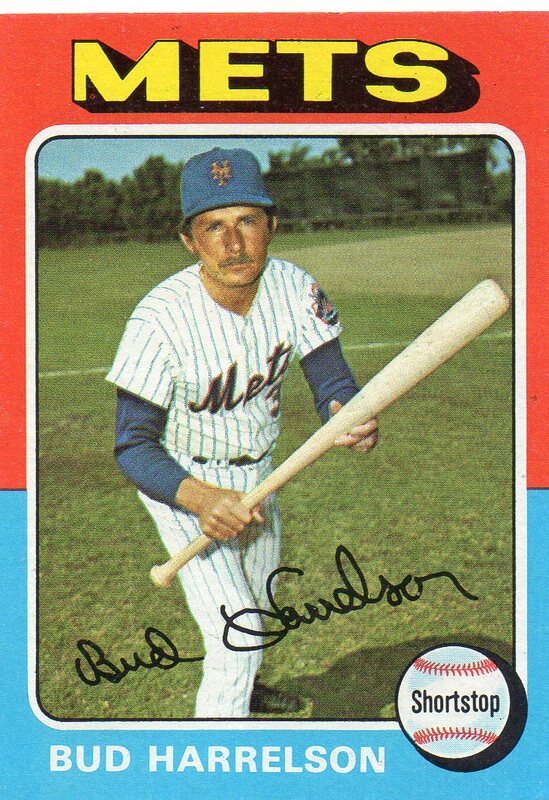 Notes From His 1975 Season: Bud Harrelson played in just 34 games for the Mets in 1975. With 73 at-bats, Harrelson collected 16 hits en route to a .219 batting average. He had 2 doubles on the year, with 3 RBI and 5 runs scored. Notes From Career: Bud Harrelson played for three major league clubs during his 16-season big league career. He is a lifetime .236 hitter with 1,120 hits in 1,533 games played. Harrelson is a 2-time All-Star and winner of a Gold Glove Award. He is a member of the 1969 World Series Champion New York Mets. Notes From His 1975 Season: Garrett played in 107 games for the Mets in 1975. Garrett hit .266 during those contests as he connected for 73 hits in 274 at-bats. Of his 73 hits, Garrett amassed 8 doubles, 3 triples, and 6 home runs. He drove in 34 runs on the year while also scoring 49 times. 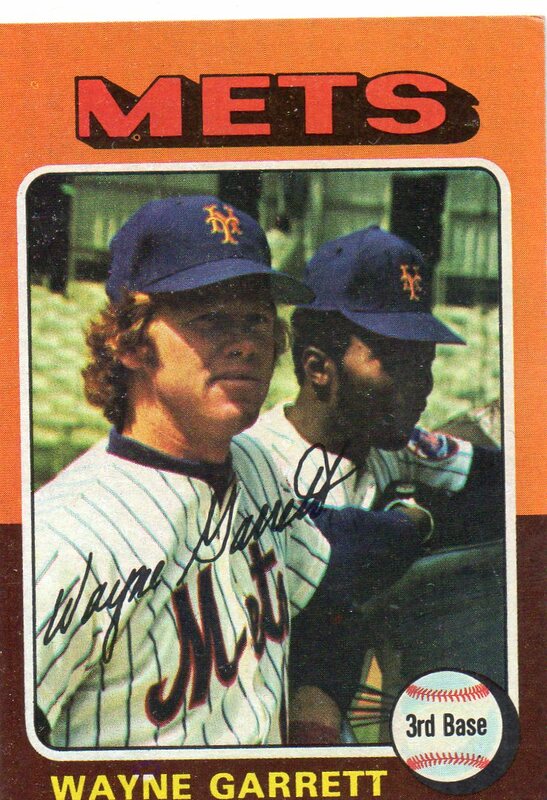 Notes From Career: Wayne Garrett played for the New York Mets and the Montreal Expos during his 10-year major league career. He is a lifetime .239 hitter with 786 career hits in 1,092 games played. Garrett is a member of the 1969 World Series champion Mets. 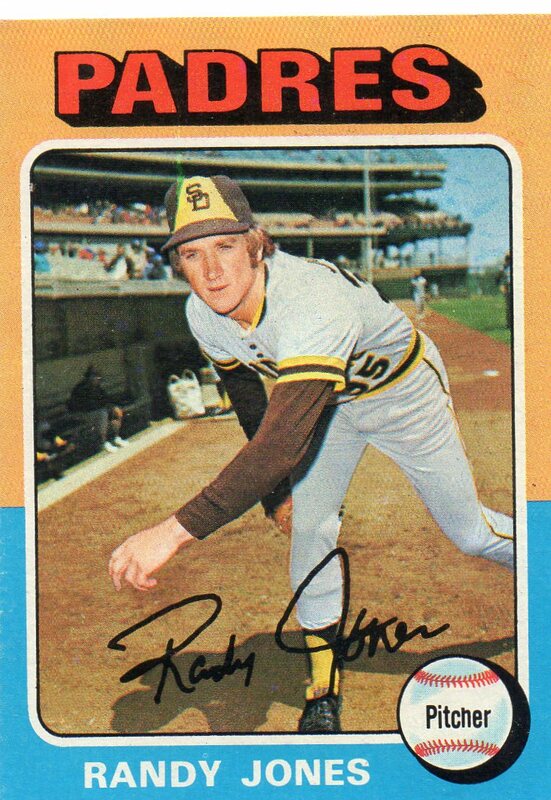 Notes From His 1975 Season: Randy Jones made 37 appearances for the Padres in 1975, 36 of them being starts. He put together a 20-12 record on the season with 18 complete games and 6 shutouts. He had a league-low 2.24 ERA over 285 innings of work. Jones was and All-Star in 1975 while also finishing in 2nd place for the Cy Young Award. Notes From Career: Randy Jones has a 100-123 career record. He played for two teams over his 10-season career, and retired with a 3.42 ERA. Jones pitched 1,933 innings during his career while striking out 735 batters and walking 56. He is a 2-time All-Star selection and was the winner of the 1976 Cy Young Award. Happy Anniversary Bill Buckner & Mookie Wilson!!! On this day in 1986 you made the most famous error in baseball history. 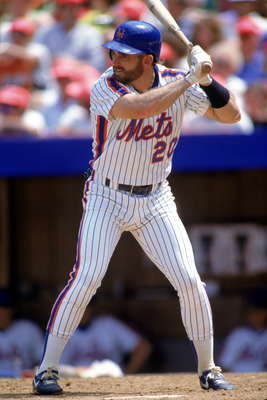 Although many 1st baseman prior to you have seen ground balls accidentally roll through their legs, none was on a bigger stage than your error in game 6 of the 1986 World Series. Errors occur all of the time in baseball. But, in the bottom of the 10th inning with runners in scoring position and the game tied the impact of this accident was magnified. 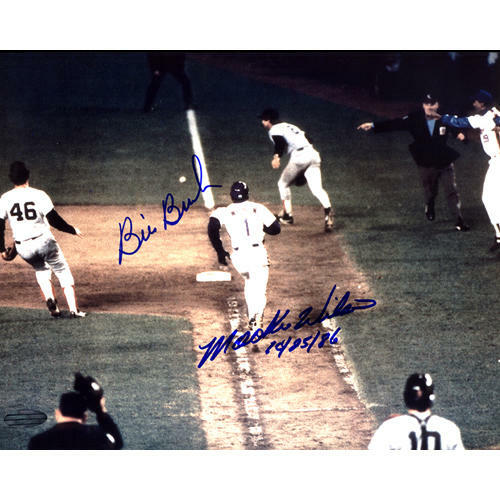 Mookie Wilson’s ground ball would have been handled by Buckner with ease the next 100 times without question, but with the pressure on, it was Buckner that failed and Wilson that prevailed. I remember watching this game as an 11-year old. I was pulling for the Red Sox and wanted to see Wade Boggs win his first ever World Series title. What I ended up seeing was baseball history of another kind that has no equal within the last 30 years. This error made Bill Buckner and Mookie Wilson one of the most famous pairings in baseball history!! Happy Anniversary Mr. Buckner and Mr. Wilson!!! The first New York Mets third baseman to be selected to represent the team during the MLB All-Star game was Howard Johnson. Johnson’s first selection came in 1989.